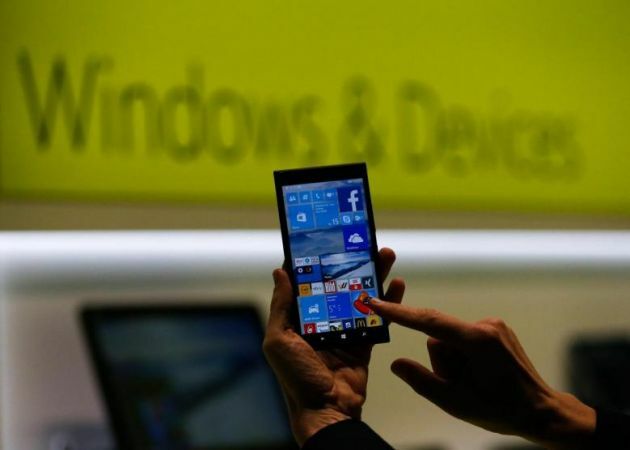 (Reuters/Morris Mac Matzen/Files)A Microsoft representative shows a smartphone with Windows 10 operating system at the CeBIT trade fair in Hanover in 2015. Rumors claim that the next Windows Phone is a foldable Surface Phone. After rumors claiming that Microsoft is delaying the release of its alleged Surface Phone, the latest reports claim that the suspected Microsoft smartphone will, indeed, be an ultimate device that can be converted into a tablet. There is no questioning that the Surface Phone is one of the most highly anticipated and talked-about devices, despite the fact that Microsoft has yet to confirm whether it is really in its pipeline. While there are many rumors on what the Surface Phone will offer, one of the biggest rumors attached to the Surface Phone is the one saying that it will be a smartphone and tablet hybrid. To recall, it was at the early part of this year when it was reported that the Surface Phone may be a foldable device that, in its folded state, can be used as a smartphone, and, when unfolded, can be converted into a tablet. The rumors started when the alleged photos of the patent that Microsoft applied for and has been awarded with leaked online and showed that the device will be as such. However, it has been reported that Microsoft is delaying the release of the Surface Phone as, allegedly, the technology that will make the device a mobile laptop is not ready yet. Hence, instead of releasing the Surface Phone, it is alleged that Microsoft would release another phone. However, reports claim that said phone will still be foldable but will not come with the name Surface Phone. Recently, though, rumors about the Surface Phone being foldable have resurfaced as new images of the patent for Microsoft leaked online anew. Based on the said images, if those are, indeed, of the Surface Phone, the device will come with a multi-layered display made of tiled panels with a curve on its edge so that light can be drawn away from the gaps, resulting in an optical illusion that the device displays a seamless image. Nonetheless, whether it is the Surface Phone or not, there is a catch, though: It will not be released earlier than 2018 and may even arrive beyond it. However, without any official word from Microsoft, everything has to be taken with a grain of salt for now.